Knoxville professional organizer Wendy Terrado updates her services to help homeowners declutter their homes, remodel their kitchens and closets, and improve the practicality and overall design of their interior spaces. Wendy Terrado, a professional organizer serving Knoxville and surrounding cities, announced a complete range of services for homeowners interested in decluttering commonly used rooms, optimizing interior space, maximizing closets and kitchens, downsizing and various other services. All projects are customized according to each client’s needs. Wendy offers personalized storage and decluttering solutions for a variety of interior projects. More information can be found at https://houzz.com/pro/wendy-terrado/wendy-terrado-professional-organizer. Working with a professional organizer is an efficient way for homeowners to organize and redesign their living spaces. Wendy Terrado offers complete home rearranging, redesign and decluttering solutions for homeowners in Knoxville, Farragut, Louisville and throughout Blount County. Clients can contact the Knoxville organizer for complete kitchen redesign services. Wendy assists each client in creating a practical and stylish space adapted to their needs and preferences, offering professional advice on rearranging furniture, getting rid of unnecessary items, maximizing usable space and creating a cleaner, more spacious and more welcoming interior. 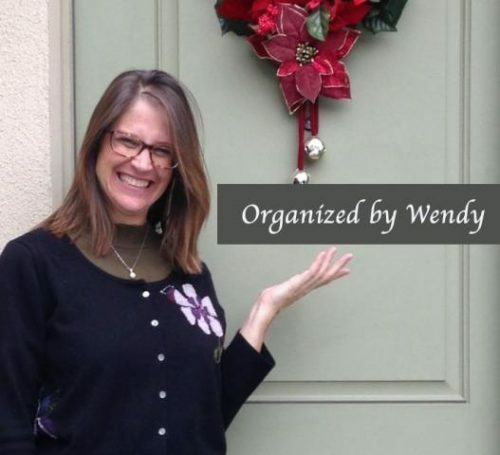 Wendy routinely provides closet organization and walk-in closet design solutions through her quality connections with local, trustworthy professionals. Clients benefit from creative solutions to maximize storage space and improve the practicality of their closets. The Knoxville area expert is also available for a wide range of other home projects, including document/memorabilia storage, clothing purges, room repurposing, garage organization and more. The recent service update is part of Wendy’s efforts to provide complete solutions for Knoxville homeowners looking for an efficient way to declutter their homes and improve their interior design.